As I build more and more eCommerce themes I find that choosing the write plugin for the job essential to the whole process. So I thought I’d write up a short post on the benefits of each, so that you’ll be able to make an educated decision about which one should fit in with what you need and what you expect from an online shopping experience. 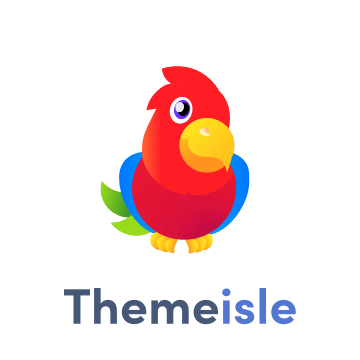 This is a relatively new plugin which I am currently using to distribute my custom themes here at wptricks, created by the wonderful pippinsplugins.com that is aimed at the digital download market. If you’re creating themes, prints, mp3’s, online video resources or just about any digital product that can be immediately downloaded then this should possibly be your first choice. They provide exceptional support and in-depth documentation to alleviate your issues as soon as possible. Beautiful graphs and simple data tables, showing all your sales and earnings. A complete discounting system built in, so when you want to provide an offer, it won’t even take a minute. Simple export options, you can easily send all sales, earnings, and customer data to Excell, Google Docs, or any other reporting system of your choice. With over 100 extensions, “Easy Digital Downloads” can be tailored to your exact needs. From payment processors to newsletter signup forms, EDD has extensions to fill the needs of almost every user. I’m using this quality plugin to power the store in my Cake-eCommerce theme. It offers a sweet back-end ui that makes this plugin quite simple to use and to sell from. With over 1 Million downloads you can be sure that WooCommerce will do exactly what you want it too and boasts the following features. WooCommerce 2.0+ has been fully security audited by the leading WordPress security firm. Get a birds-eye view of your stores performance or drill down to check out product reports. Allow customers to check out quickly and efficiently with our distraction-free one-page-checkout which includes real-time form validation. This plugin also benefits from easily over 100 + extensions. Another powerful shopping cart plugin that offers a plethora of built in options and widgets. With over 104,000 downloads it’s well worth checking out. Customizable order emails, customer account dashboard, order status and history. 2 default and configurable loops: Grid and Listing loops with tons of options.